Dr. Arvind G Kulkarni is the best doctor I have met in my life. He is such a wonderful and kind person. Half of my trouble went away after talking to him. My Mother had back pain from past 4-5 years. Despite trying several types of treatments ranging from Allopathic, Homoeopathic to Ayurvedic, her condition remained same, infact it deteriorated so much in last couple of months that she was unable to even walk. 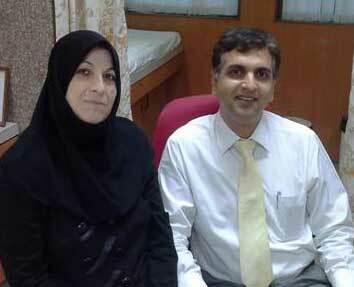 I contacted Dr. Kulkarni in the last week of Feb and he advice immediate surgery and arranged everything. I was a little concerned as I am not a resident of Mumbai, but we did not face any problem. I do not have words to express my gratitude. I had problem of L4-L5 disc prolapse, I was unable to walk for more than 3 months, I tried everything like traction, proper rest, physical therapy, epidural steroid injections BT I was unable to stand properly on my legs, Then I visit Kulkarni Sir, he suggests me to go for surgery n ensure me that on same day of surgery u will stand properly. Then I had surgery & as Dr said I was able to stand & walk on same day on which I had surgery. N after surgery in next 2 days he discharge me. Till yet I don’t have any problem. I had best experience with Kulkarni Sir. Damn polite and always smiling. There are not enough stars for Dr Arvind and his incredible team ! I couldn’t ask for better care and attention pre and post op ! They are fabulous ! 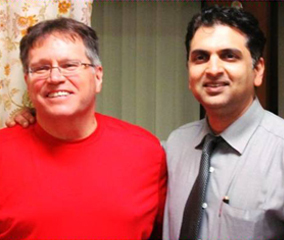 Dr Arvind put me out my excruciating pain and for that I will be ever grateful ! 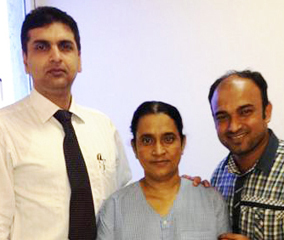 You have magic hands Dr – God Bless U ; to Dr’s Ankit, Mehul and Sagar, thank you for being so patient and accommodating ! I vouch for this team of amazing affable gentlemen at anytime ! Thanks for everything ! Who says your activity gets limited after spine surgery? 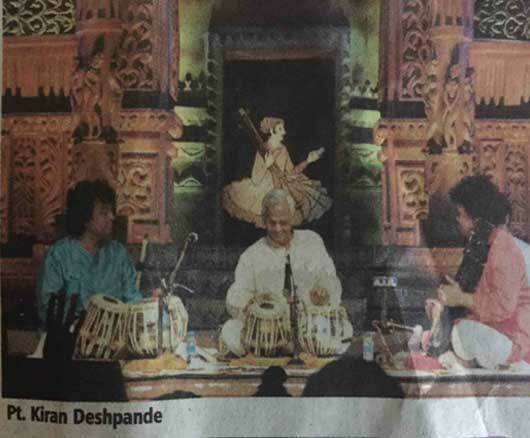 Ask the very famous Tabla Maestro Pandit Kiran Deshpande https://ptkirandeshpande.wordpress.com who can sit for hours together and enthrall his audience with his magical fingers after undergoing a supra-major spine surgery at Bombay Hospital. Dear Dr. Kulkarni, Today, a month after the operation, I can tell you that all my pain in the legs and buttocks are entirely missing. I am extremely satisfied with the result and thank you for that. It remains for me to strengthen my back but I’ll take the time it takes. I also want to thank you for your warm welcome and your availability. I will keep in my mind an excellent souvenir of the time spent in India. Best regards, Marc ! Richard Antamba, a 19-year old Ecuadorian citizen, reached Mumbai, India in November 2014, hopeful that he would get a second chance in life. Richard suffered from severe scoliosis that was deteriorating his quality of life and that would have led to a premature death. In Ecuador, Richard’s case was considered inoperable. In the United States the surgery would have been extremely expensive. 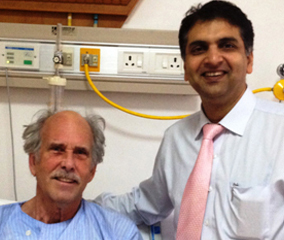 Thanks to Dr. Kulkarni’s expertise and experience Richard’s surgery was a complete success. Richard is back in Ecuador, enjoying his second chance in life. 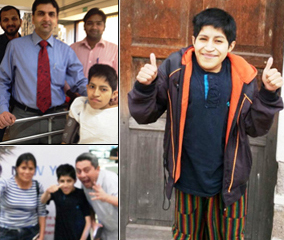 On behalf of the Ecuadorian government I would like to thank Dr. Arvind Kulkarni and his team for the miracle they performed in Richard’s life. My mother (underwent spinal decompression and fusion surgery) is now good and she did not feel any problem during flight to Dhaka. Thank you so much for taking care of my mother. 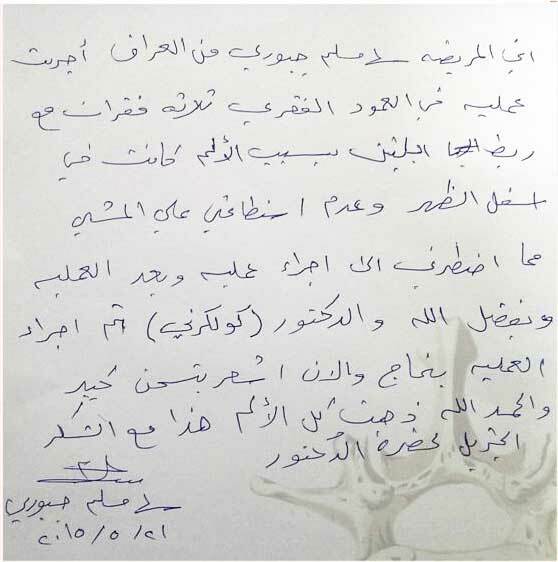 We are really grateful to you what have you done to us. Hope to see you again. For persons suffering from pains caused by spinal nerves being under pressure from lower lumbar compression wit synovial cyst, which was my problem, I can say that my experience with Dr. Kulkarni’s minimally invasive surgery at Mumbai has been a total success in all respects. His specialisation in this surgical method, performing more than nine operations a week, means his skill in implementing the technique is acutely developed, and that is what matters most. His team and the hospital nursing staff are first class from pre op preparation and after op medication, observation, and after care. Full details of all tests and procedures are provided on hospital discharge with physiotherapists instructing exercises and what not to do. The cost of having this done here is a sixth of what it would cost in London where the minimally invasive technique is hard to find. For foreign patients the services from airport pickup and drop to all medical arrangements and costs, made the whole experience simple and reliable for me.